Reviewers! Paaah! Who needs 'em? We're notoriously deaf, we've got our priorities backwards and without question, most of us are way deep in the pocket of clever clever marketing companies who make crap products they want to hoist onto the unsuspecting audiophile community. Top that off with the fact that we're terminally lazy, ignorant and anyway, do you really want to be taking advice from people who haven't got anything better to do than write about audio? Of course critics know nothing and should not be trusted. So why, why, why? do audiophiles continue to buy blind on the basis of a review by someone they have never met? Search me and I've done it several times. What on earth was I smoking? Whatever the result, the key thing was that on arrival the component in question rarely bore any real relationship in my system to what the reviewer had described. Once that happens three or four times, the penny's gonna start dropping, right? If that's commandment number one, number two has to be that audio cables are the biggest rip-off in the history of the explored universe. There are cables that retail for more than the gross domestic product of all sentient beings apart from the Sultan of Brunei. I mean, who is kidding who? There are cables encased in liquid dielectric or festooned with LEDs, others wrapped in compressed layers of pure air or helium. There are literally hundreds of the critters. Now I've clapped ears on what must be a fairly representative proportion of these creatures and many actually turn out to have real arguments in their favor. A number are really impressive. Speed. Soundstaging. Dynamics. 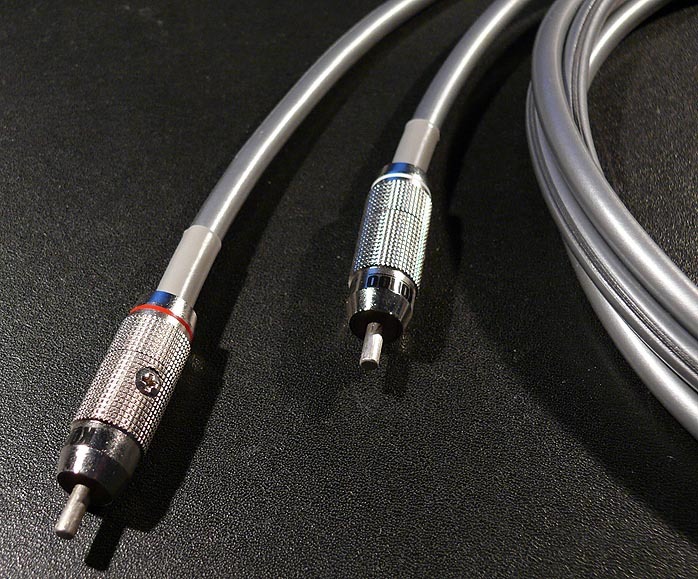 There are great cables that are specialists in their chosen roles. Of course you get others that are just over-hyped marketing junk. It is one python-infested jungle out there. So what do we do? My suggestion is that you should ask the dealer of your prospective cables to take home an entire loom that has been well run in. Listen to that for a couple of days. When you're listening, ignore what the component change is. Don't think "this is a preamp change, this is a cable change". It's just a change. Judge it on what it does to your system. If you're ambivalent, that has to speak for itself. If it's not a blinding improvement, an "I'm not letting you have it back" sensation -- and I mean delivering the goods in a spectacular fashion -- then walk on by. Life's way too short. Cables really are a funny business. Audiophiles tend to divide between those who think cables are important and those who (often the electrically educated) think that if you can hear something, you have a mental health problem and are terminally impressionable because the truth and the whole truth ends at capacitance and resistance. Not all of them though. I've got a brother who is a physicist with a Ph.D. in acoustics who can explain at length some of the obvious and basic reasons why cables produce distortion at different bandwidths. "The electron is in the class of subatomic particles called leptons, which are believed to be fundamental particles. As with all particles, electrons can also act as waves. This is called the wave-particle duality, and can be demonstrated using the double-slit experiment. "According to quantum mechanics, electrons can be represented by wavefunctions, from which a calculated probabilistic electron density can be determined. The orbital of each electron in an atom can be described by a wavefunction. Based on the Heisenberg uncertainty principle, the exact momentum and position of the actual electron cannot be simultaneously determined. This is a limitation which, in this instance, simply states that the more accurately we know a particle's position, the less accurately we can know its momentum, and vice versa. "Electrons in an atom are bound to that atom; electrons moving freely in vacuum, space or certain media are free electrons that can be focused into an electron beam. When free electrons move, there is a net flow of charge, this flow is called an electric current. The drift velocity of electrons in metal wires is on the order of mm/hour. However, the speed at which a current at one point in a wire causes a current in other parts of the wire is typically 75% of light speed. "A body has an electric charge when that body has more or fewer electrons than are required to balance the positive charge of the nuclei. When there is an excess of electrons, the object is said to be negatively charged. When there are fewer electrons than protons, the object is said to be positively charged. When the number of electrons and the number of protons are equal, their charges cancel each other and the object is said to be electrically neutral. When electrons and positrons collide, they annihilate each other and produce pairs of high energy photons or other particles. On the other hand, high-energy photons may transform into an electron and a positron by a process called pair production, but only in the presence of a nearby charged particle, such as a nucleus. "The electron is currently described as a fundamental particle or an elementary particle. Based on current theory, the speed of an electron can approach, but never reach, c (the speed of light in a vacuum). This limitation is attributed to Einstein's theory of special relativity which defines the speed of light as a constant within all inertial frames. However, when relativistic electrons are injected into a dielectric medium, such as water, where the local speed of light is significantly less than c, the electrons will (temporarily) be traveling faster than light in the medium. As they interact with the medium, they generate a faint bluish light, called Cherenkov radiation." Now that we are crystal clear about how electrons work, we can move on to their audible effects. Not. Does any of this stuff actually make any real difference? I was chatting to a physicist who works in superconductors and he said that one of the major differences with super-conducting materials will be zero losses in signal cables and therefore no distortion. Friction-free electrical connections. He said they would obviously be beneficial in audio circuits. After I told him how much audiophiles were prepared to pay for cables, he said they could easily budget for super conducting wires once those that will work at room temperatures have been found. If you want to run your cables at 150 degrees below zero, you can order your super conductors right now. Back in the real world, how much difference can cables really make? It's pretty easy to find out actually. If you build ten different cables from generic wiring, you will find they all sound different. Some will display pronounced differences in bandwidth and tonal balance. One or two will sound grainy or burnished or smooth. Change direction and they will sound different again. One will sound fast. Another instead will come across as lethargic and diffuse, almost as if you can't tell whether that's the bowing of a cello or a cheap computerized copy. In fact, bad cables can sound bad in so many ways. They can make Ben Webster's At the Renaissance sax sound a bit vague and blurred, a bit too relaxed and bland. Or they can be very sharp and attentive and nervous, sending out the wrong colors and regimenting the music in a forced march sort of way. They can be dull, lacking in luster or be plain bland, lacking in contrast. Instruments can seem washed out and pale, with little substance, definition and body weight. They can seem like the inner vibrations aren't there, just a blancmange of sound making something flat that's just a representation of the event, not a recreation. Indifferent cables will make the color spectrum default to a depressed mass of grey. Congas can sound like they are big generous tubs full of juicy resonances - or they can sound like flat dull 'dunks'. The bitter truth is that most cables make the system do the latter. The total cost of a complete Kondo cable system, including say two or three KSL-LP interconnects, four KSL-ACZ power cords and three meters of KSL-SPZ bi-wired speaker cable will come to damn near a brand new car. That's right, with four wheels, a chassis, an engine, seats, breaks, transmission, air conditioning, ABS and so forth. Can you believe it? Friends, audiophiles, grown and successful men, gather 'round and listen why you should spend enough money to buy a car on a bunch of audio wires that come complete with a dull brown plastic covering, no nice wooden knobs and a couple of indifferent looking RCAs. My personal reaction is closer to an involuntary arm gesture too crude to reproduce in public. 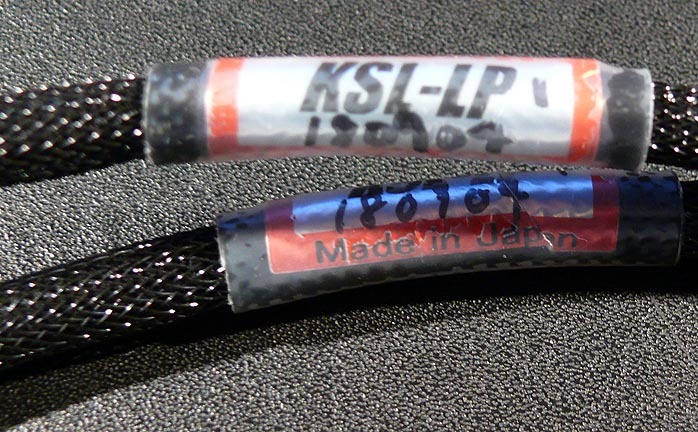 According to the website, the Kondo cables are made from very fine strands of silver drawn in the Kondo Laboratory, annealed for up to twenty years, treated specifically for skin effects and then coated with multiple layers of proprietary varnish which acts both as a protector of the silver and as a means of rejecting RFI. Great. But between us, there's no way I'd part with serious cash on the basis of technical wizardry, repudiation, ad copy or even my own recommendation. The cables are going to have to perform -- and big time -- to get a look in. Well, it might take twenty years for these cables to come on song but when they do, we go straight to the inner sanctum where they keep the grail. These wires played a major role, maybe even the starring one, in revealing that my much loved previous system had been a frankly unsatisfactory reproducer of tinsel-flat sound and left no choice but to take a pretty rapid and financially ruinous turn down the Kondo trail. The final addition of the LP interconnect was the key. It had a semi life-altering effect so I now regard my audio quest as having two parts, the B-LP and A-LP. Of course I'm well aware that as reviewers, we are often accused of gushing, exaggerating, of giving unjustifiable raves. True, often we do. But on the other hand, what should we do on those few occasions in life when we come across something that simply alters the borders of reality and takes us straight to the Promised Land? How did Kondo do this? I suspect it had a lot to do with the man himself. Kondo was fascinated by human experience and motivated by music but he also had world-class understanding of molecular metallurgy. You need the two qualities to reach these extraordinary results. 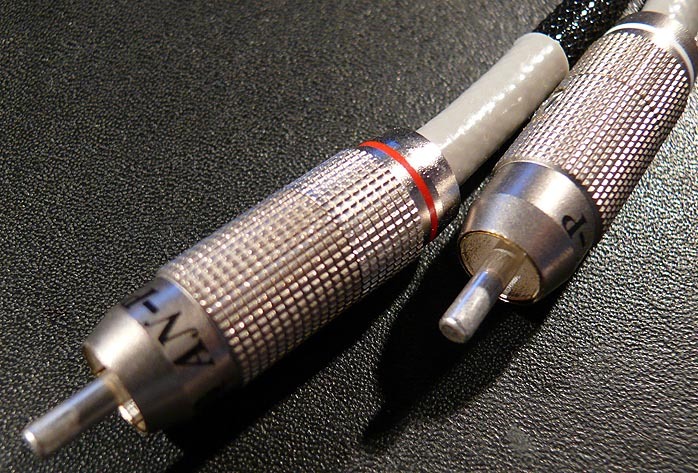 So we get the weird sensation that this cable is somehow being 'kind' to its electrons or at least having a really beneficial effect on the way they deliver musical experience. No, they don't have a particular characteristic, a specific emphasis. They don't have overt characteristics. They have fabulous definition and shape without sounding hard. They are compliant and subtle yet have stop/start speed. So they end up seeming to be able to capture mutually exclusive virtues. They are kind, generous and fluid yet at the same time have perfect timing. Put this bunch of wires in and a drum whack will, like the carol says, sound deep and crisp and even; and powerful, stark, wobbly, languid, fierce, delicate, in tune, in time. It will sound like the musicians' deepest inner musical being wanted it to sound like. It will sound so much better that I personally am unable to listen to my other cables for more than say five minutes. It's like, "what am I wasting my time for? This junk is seriously getting on my gob' and away it goes." Recently my friend Mike Valentine came round to compare his cables to the Kondo. He had Jorma Prime, which are in my view some of the finest cables available and contenders for the 'ultimate cable' slot. What I like about them is they have great speed but you don't notice it. We put on Don Cherry and Ed Blackwell's El Corazon which has some amazing drum effects. We start with just simple comparisons between the Prime and the Kondo interconnect. What happens is pretty startling. Remove the SFZ-LP and a crucial part of that sensation of 'liveness' and believability just disappears. It's uncanny. The shock weight of that kick drum, its after shocks and the flashpoint of its impact, just disappear. Try clapping your hands as loud as you can, with your palms slightly cupped. Can you hear the flashpoint where the volume explodes for the smallest instant of time? It happens just before the room echo. In my room, this flashpoint will set the two metal desk lamps ringing. It's a loud noise with an almost instantaneous dynamic rise. The quality that makes the sound real is this explosive flashpoint. It's where the dB meter will go from nothing to way into the red, which is why De Paravicini developed the Compressor. But use the Compressor and you will forever lose that unbelievably energetic peak. You will lose the key to making a live sound. Hit one hand onto a wooden surface. That dull thud, that's closer to what I usually got in the past. Now even without the LP wires, the current system will sound much closer to a clap but it will be a soulless one because it's missing that impact flashpoint, parts of the room echo and some of the harmonic spray. Needless to say, within days Mike had changed all his Jorma Prime loom to Kondo. These Kondo cables and power cords illuminate the audio spectrum with what can only be described as a brighter but somehow more natural light than I've ever experienced before. It's not like the bright etched harshness of a spot light. No, it's like the light of a bright but not windswept summer day. There is no harshness but a sense of luxuriating in the warmth of a perfect day. I think this comes from these cables' key characteristic which is their natural presentation. There is an unprecedented absence of the mechanical, the contrived, the dolled up, the exaggerated, the forced. It is just pure. 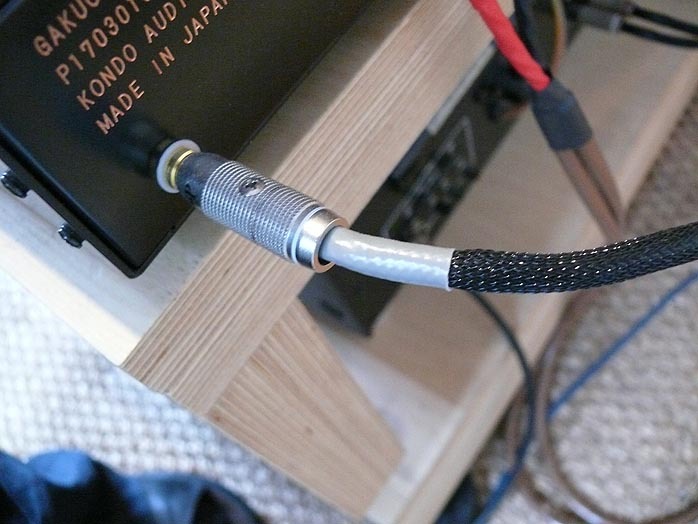 Yes, it does all the audiophile stuff and to these ears in that class of absolutely state-of-the-art cables. They have a sense of transmitting the liveness in the high registers so a high hat by Terje Rypdal hits with the kind of density and shimmer that is instantly believable as true. 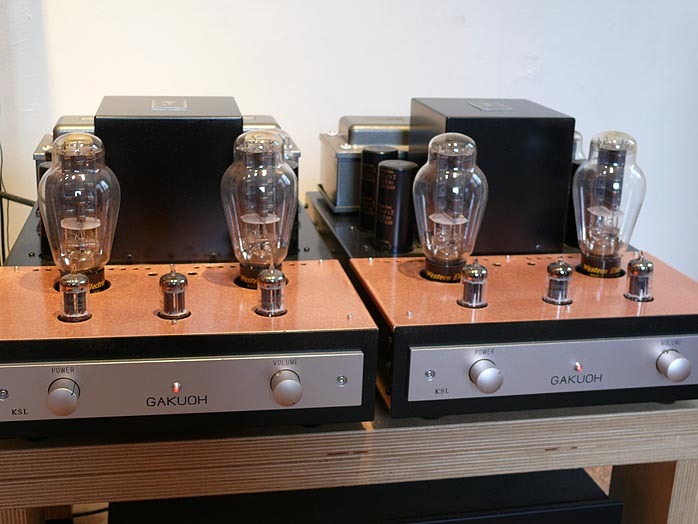 But the magic of the Kondo cable system is only partially in their 'objectively' appreciable sonic merits. For me the key are in fact its musical merits but not in the abused and tired audio terms of 'musical' or 'emotional'. No, in the sense that they organize the flow of musical relationships so that we as listeners can get closer to whatever it is that a given piece of music captures that is greatness, that is profound, that is art. So their power to affect us is that much greater. The sound is juicy and succulent, full of color and breadth and expansiveness. The weight of massed strings is huge, there is real body and it's much more natural and alive. Overall, I find myself utterly in awe of these cables. So much so that if you see some guy in a long beard and a white robe holding them up high in front of the altar of Amun Ra while a choir chants deep uuuummm mantras and acolytes make weird Masonic signals to each other, you're likely to have stumbled across my ritual Kondo cable Thanksgiving ceremony. Are they that good? Don't take my word for it. Take a listen instead. Quality of packing: No frills plastic folder. Website comments: A bit sparse but sufficient. 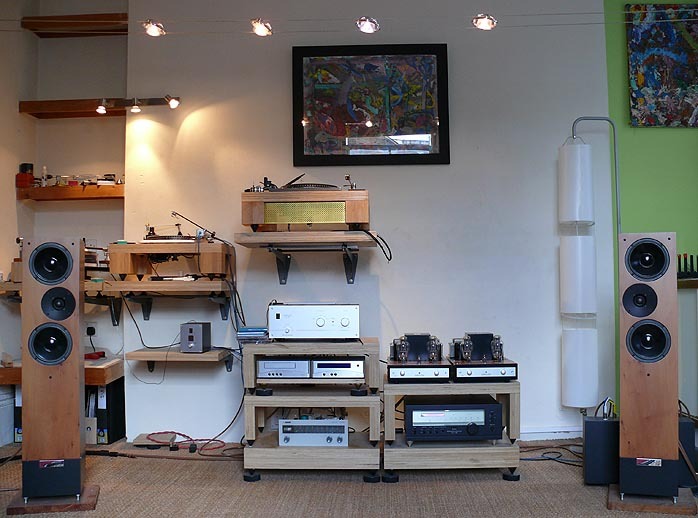 Human interactions: Dealing with Kevin at Definitive Audio UK is always an utter pleasure. Pricing: Expensive but far more exorbitant is readily available elsewhere. Final comments & suggestions: Don't listen unless you're prepared to fall hard.